Let us take you from the Cancun airport to the Residence Kohunlich Tulum we know where it is located. Discover the tranquility of the jungle getting away in the Condo-Hotel Residence Kohunlich. Here you will find the peace to enjoy an unforgettable day of rest. 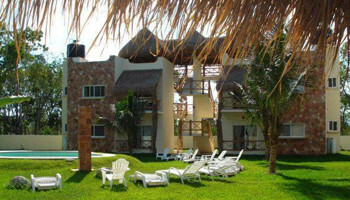 Situated 500 meters from the town of Tulum and only 5 kilometers from the breathtaking caribbean beaches. Need Transportation from the Cancun Airport to Residence Kohunlich Tulum?